You are here: Home / WordPress / WordPress.org (self-hosted) vs. WordPress.com (Free Version): What’s the Difference? Have you been thinking about starting a blog or website? If so, you may be asking yourself which platform is best to use. WordPress is one of the most popular content management systems around, and for good reason. It provides great flexibility, has thousands of themes to choose from (both free and premium) and is easy to use even for beginners. Many people just starting out with WordPress need to understand their options. You can either have a self-hosted website using the WordPress CMS (which you can download at WordPress.org) or have your site hosted on WordPress.com. In this post, I will break down the pros and cons of both, and give a final recommendation as to which may be better suited for your needs. If you choose the self-hosted WordPress route, you will need to register a domain name and get your own hosting plan (I highly recommend and use SiteGround). This option provides much more flexibility in terms of theme selection and modification, as well as the ability to add all kinds of super useful plugins, even customized ones. In addition, you can have a custom URL without “.wordpress.com” at the end of it. If you decide to use the FREE version of WordPress.com, you do not need to register a domain name or purchase a hosting package. Your site will be hosted on WordPress.com. There are certain restrictions with this plan, including a 3Gb limit of space for your website or blog, and a URL which contains “.wordpress.com” at the end of it. If you need more than 3Gb of space, you’ll need to upgrade to one of their paid plans. The WordPress.org CMS is totally free and easy to use, even for beginners. You have complete control of your content, and own all of it. You can install and use a wide variety of helpful plugins. You have the ability to upload (or create) custom themes, and can modify themes to your heart’s content. You can monetize your website in a variety of ways, including the use of affiliate links, display ads, ecommerce and others. You can install analytics to accurately track visitors. You will have to pay a small amount for your domain name registration and web hosting. Many web hosts offer 1 year of domain name registration for free if you host your site with them. Hosting plans start for as little as $3/month. As your site and visitors grow, you will have upgrade to a better – and more expensive – hosting plan. You are responsible for all site updates, including themes, plugins and WordPress CMS versions. With 1-click updates, it is very simple and not too time-consuming. You have to maintain site backups. This can be automated with a number of free and premium plugins. Simply set and forget it. It’s your responsibility to keep your site safe for your visitors and protect it from hackers and spam. It is free up to 3Gb of data. If you need more space than that, you’ll have to pay – $2.99/month for up to 6Gb of space; $8.25/month for up to 13Gb of space; and $24.92 for unlimited space. All of the paid plans are billed for an entire year up front. It is easy to use, and you don’t need any technical knowledge to start creating your site. You can easily personalize your site’s appearance with a wide array of themes and change the logo with a few clicks of your mouse. They provide free backups of your website, so you don’t have to worry about that. Good built-in security and reliability. WordPress.com is hosted on servers spread among multiple data centers around the globe. This ensures that your site loads quickly for all visitors. All free websites have ads on them. If you want your site to be ad-free, you have to pay $29.97/year. You cannot sell advertising on your site unless it receives 25,000+ page views per month. If you receive enough monthly page views, you can then apply for Ad control. This process is free, but if you’re approved, you’ll have to fork over 50% of your advertising revenue. You cannot use Google Analytics on your site, and must instead rely on their analytics software. You cannot install any plugins unless you upgrade to their VIP program, which starts at $3,750/month. WordPress is so great – and flexible – because of the awesome plugins available for it. You cannot use any custom themes, and can only choose from their limited list of free themes. You do not have FTP access to your files. Both WordPress.org and the free version of WordPress.com are suitable options for your website. Which one should you use? That really depends on the plans you have for your site, your technical skill level and how much time you have to maintain, design and customize your site. If you are looking to create a simple blog or site and don’t want to worry about keeping up with maintenance and security, or customizing your site in any way, then the free version of WordPress.com may work best for you. Do you wish to have complete control of your site design, plugins, files and database, as well as the ability to customize every element of your site? Perhaps you don’t mind performing all the routine maintenance that comes with having a self-hosted website or blog using WordPress.org, including: updating your theme, plugins and software version. The self-hosted option is also the best choice for you if you plan on having an eCommerce, membership or large business website. It provides a greater amount of flexibility, and will be less expensive than one of the premium plans on WordPress.com. After comparing these two platforms in terms of cost, flexibility, limitations, maintenance and customization, WordPress.org gets our unanimous vote. It may require a little extra time, effort and technical knowhow to get it up and running just the way you like it, but it is absolutely worth it. You will have complete control over the look and functionality of your site, as well as the ability to use custom themes and plugins, and even develop your own. You can always start your blog or website on the free version of WordPress.com, then transfer it to a self-hosted WordPress installation later. 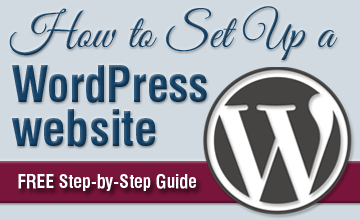 Check out my tutorial for moving from WordPress.com to self-hosted WordPress for step-by-step instructions. Do you have experience using WordPress.org or the free version of WordPress.com? Leave us a comment and let us know which one do you prefer and why?